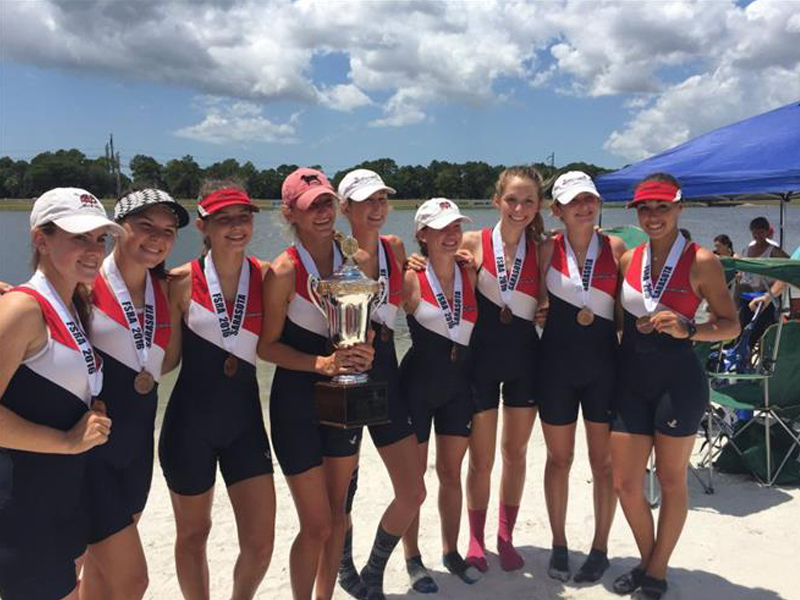 The Varsity Lightweight 8+ from Vero Beach High School’s Rowing Team won the Florida Scholastic Rowing Association (FSRA) State Championship held at Nathan Benderson Park in Sarasota. The newly crowned FSRA state champions, coached by Phil Graveness and program director Gary Marra, were recipients of the Steeple Jack Cup. The crew is comprised of 9th-12th grade students.